Peter has been providing Financial Advice for over 26 years and before joining the Vision team has enjoyed a successful and rewarding career with NatWest, The RBS group and Ashcourt Rowan. 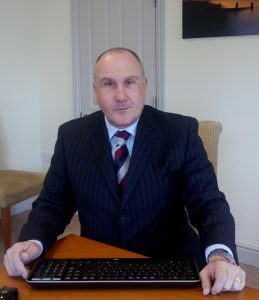 His background with NatWest, RBS and Ashcourt Rowan gave him the opportunity to provide financial advice to personal, commercial, and corporate clients, with the last 12 years working as an Independent Financial Adviser. Peter can offer expert advice across the full range of financial planning areas and specialises in Inheritance Tax Planning and Investment Planning. Over his career working within one of the largest financial institutions in the world, he has benefitted from meeting and learning from a diverse range of both clients and colleagues. It is that experience that helps him to provide not only the technical planning, but the personal understanding of each individuals situation. Peter is particularly pleased to enjoy the confidence of a number of ‘family clients’ advising on the needs of different generations from long term care at one end of the spectrum, to trust investment for children and grandchildren at the other. He is passionate about developing and maintaining a relationship with clients based on trust and loyalty, not just for the short term, but for many years to come. As a truly Independent Adviser, his ability to offer ‘whole of market’ advice (meaning not being restricted to a limited range of products or providers) is fundamental to delivering solutions his clients need both for their personal, family and business needs. On a personal note, Peter is married with two grown up children. In addition to spending time with the family, he enjoys golf, paragliding and clay pigeon shooting. Peter would welcome the opportunity to meet with you to discuss how he might best help you and can be contacted using the details below.